Today I have an amazing book to share with you along with the fabulous author that wrote it. Plus her tips on how to find balance in the kitchen when embarking on a plant-based diet. Melissa Costello, founder of Karma Chow has always had a passion for healthy, delicious food and nutrition. 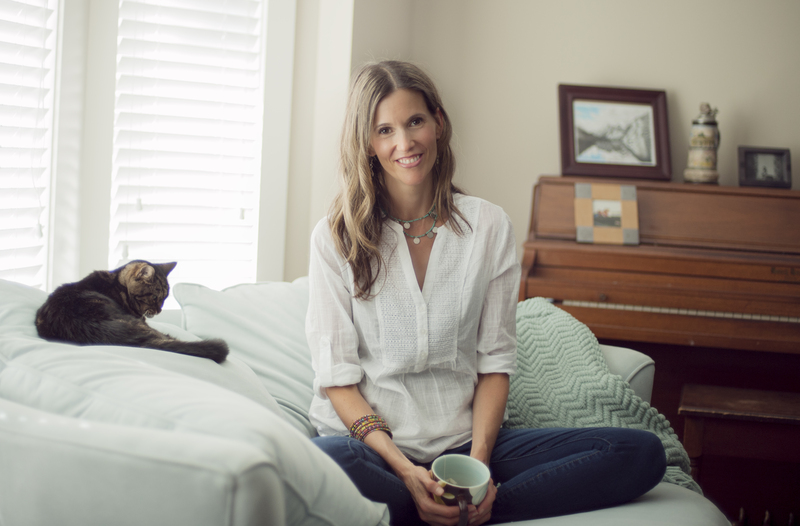 As a Nutritional Educator and Wellness Coach (NHI & Spencer Institute), Melissa works one on one with clients teaching them how to live a happier, healthier life through a plant-based, whole foods diet. She is the creator of The Vital Life 30-Day Food Based Cleanse, which has become popular among celebs in Hollywood as well as hundreds worldwide. The Clean in 14 Detox is a revolutionary 2-week program that is chock full of satisfying and delicious recipes, easy to follow meal plans and daily actions to help you break bad habits and unhealthy patterns with food. You will not only cleanse your body by giving it a break from every day toxins, you will also kick sugar cravings, lose weight and find your natural energy so you can live a healthier, happier, more vibrant life. No Starvation or Deprivation! There are a lot of things I love about The Clean in 14 Detox. It’s an easy to follow program that includes all the recipes you need to follow this plan; a shopping list, basic kitchens tools and even a support group you can join to connect with like-minded people. All the guesswork is taken out of this program, all you need to do is concentrate on the heart of the program. You can focus on changing your eating habits and focus on the mind/body balance to help you reach your goals. “Eating healthy can be a challenge for many, which is why it’s super important to make sure you plan your meals out each week. Health starts in your kitchen, and with what you put in your mouth. It does require a bit more thought at first, and possibly time, but once you get into the groove with planning your meals, shopping and cooking it will become second nature. It’s important to take small steps that are manageable within your schedule. Also, you can look at where you can prioritize more. Often I hear people tell me they don’t enough time to prepare meals, etc. and then when I probe a little deeper I find they are wasting multiple hours on social media and watching TV or browsing the internet every night. These are precious hours you can be using for self-care and meal planning. Great tips Melissa! We sometimes need to be reminded to focus on what is really important. One small change can get us closer or to our goal. Ask yourself what it is you REALLY want and make it happen. Melissa’s book also includes mouthwatering mix-and-match meal plans for the 14 days. I am a sucker for salads in general and I LOVE Greek Salads, so of course I had to make this right away. 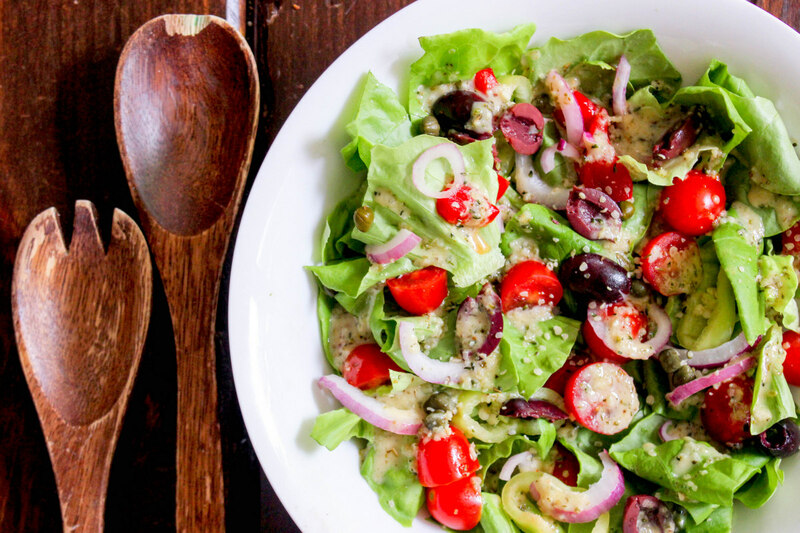 Melissa’s recipe does not disappoint, the dressing is simple, but packed with flavor. It’s been a weekly staple over here since the first time I made it. Who doesn't love Greek salad? This dairy-free version is a delight and loaded with phytonutrients, fat dissolvers, and antioxidants. Put Salad ingredients in a large salad bowl. Blend dressing ingredients in a blender until cream and smooth. Pour over the salad and toss until well mixed. I love to make plant-based meals look beautiful. Some say you eat with your eyes, and this is a perfect example of what I am talking about. Who doesn’t love a show-stopping, gorgeous meal to make for yourself or for a get-together? This delicious entrée will make you feel as if you are eating a gourmet meal at a fancy restaurant. Even though it has simple ingredients, the health benefits are phenomenal. Preheat oven to 400 degrees F. Place the mushrooms in a baking dish cap side down with the zucchini slices. Cut the bell pepper into strips and set aside. Whisk or blend together all the marinade ingredients in a large bowl and pour over the mushrooms and zucchini. Let sit for 10 minutes. 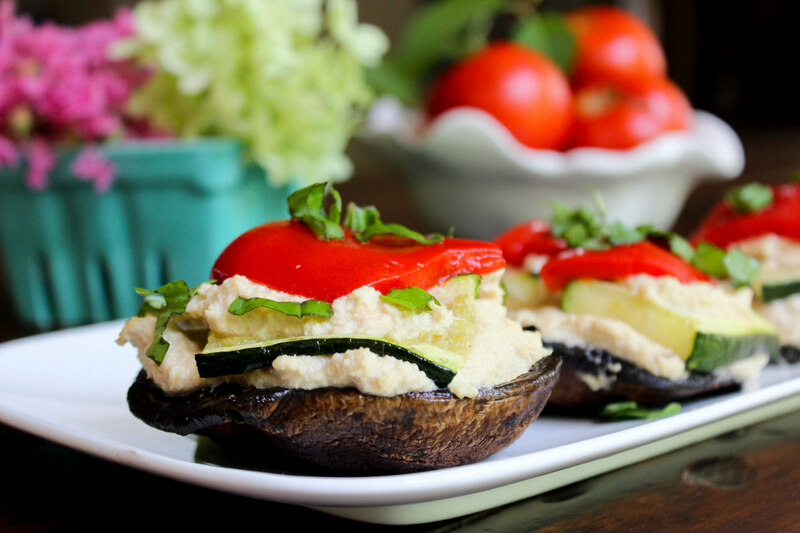 Bake the mushrooms and zucchini in the oven for about 15 to 20 minutes or until soft and juicy. Remove from oven. To assemble the stackers, place one mushroom on a plate and spread a thin layer of the cashew cheese over the top. Add a few of the roasted bell pepper strips and a dollop of Chipotle Cashew Cheese. Finish off by topping the stack with several zucchini strips. Season with salt and pepper, if desired. This vegan take on cheese sauce is delicious on just about everything. Cashews are high in magnesium and potassium, lending to your body's mineral balance. Drain the water from the cashews and place all the ingredients in a blender with just enough water to barely cover. Blende until very smooth. Add more water if the mixture is too thick or if you're having trouble blending the ingredients. This sauce should be fairly thick. Melissa has been kind enough to offer one copy of The Clean in 14 Detox to one lucky reader! 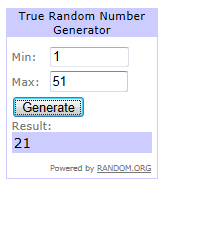 To enter the Giveaway, you MUST leave each entry as a SEPARATE comment or only one comment will count. Like Karma Chow on Facebook and leave a comment on her wall. Subscribe to Karma Chow’s Newsletter. All entries must be completed no later than Tuesday, September 15th 2015, at 11:59 p.m. EST. 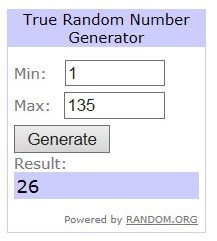 Winner will be announced on Wednesday, September 16th 2015, on my blog, and the winner will also be notified via the email address they provided in the comments section. Thank you for sharing your book with us Melissa and for giving us some wonderful tips!! I am so thrilled to have Dreena here to share her new cookbook with you today! In 2011, I started a little blog called Virtually Vegan Mama and began experimenting with plant-based cooking. I found a cool product- which is not even in production anymore – and used it to make my first-ever recipe for Vegan Fettuccini Alfredo. I received the dreaded “Anonymous” comment stating how I should have made my own cashew cream sauce instead of using a prepackaged brand. Almost immediately I received a comment coming to my defense. And yes, it was Dreena who took the time to write this awesome comment. At the time, I was floored and so honored and so grateful. I was like, “I can’t believe this famous cookbook author just came to my defense, how cool is that?!? !” And as I got to know Dreena virtually over the next couple of years, it solidified my initial feeling about her. She is not only a talented vegan recipe developer and author, she is an amazing person. 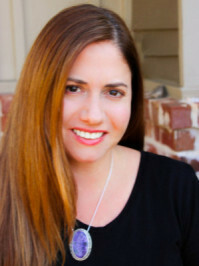 I’ve done plenty of reviews over the years and I’ve seen first-hand how Dreena will take the time to actually connect with her readers and fans. You cannot say this about a lot of authors, but the fact that she is accessible to her fans and takes the time to connect with them is so important in my book! “I’ve been mothering for 12 years now. 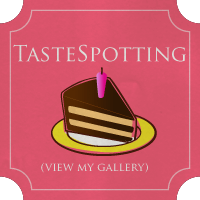 I’ve been writing cookbooks even longer, and blogging about 8 years. Through these years, I have been asked many times – both in my personal life and through online acquaintances – “how do you do it? … how do you find the balance?“. My short reply is often “I’m not sure there is any balance“. We may wax poetic about how us moms can “have it all”, but is that really true? Can we? 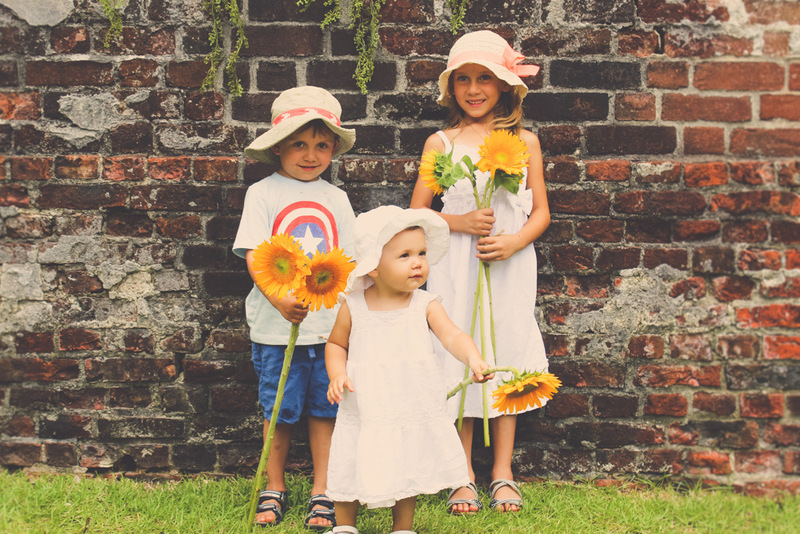 For me, motherhood and working has always been more of a juggling act than a balancing act. With all the demands of family and work-life, something has to give – eventually a ball is going to drop. While I hardly have all the answers, I have found a few things that work for me. First, I do love my work. It feels meaningful and creative and purposeful. I wouldn’t work as hard as I do if I didn’t have this connection and passion. Second, I respect my burnout. When I have had too much, I break from blogging or social media. I only blog about once a week, because that’s really all I can maintain right now. Third, I respect my sleep. I have always been an early bird – early to bed, early to rise. So, I don’t abuse that. I shut off from momputing by about 8:30pm. Here’s the embarrassing confession: I’m in bed most nights by 9:30. I know, plant-powered partay! Well, I’m often up at 5:30 or 6am, so it’s my rhythm. Sleep is critical for maintaining our serenity as mothers, and I have had periods of torturous insomnia after having children – which could be a whole post on its own. So, I do my best to respect my rhythms and try – try – not to be hard on myself. Fourth, I exercise. I don’t run miles or endure long, exhausting workouts. For my body, just small spurts of daily exercise works best. So, 20-30 minutes a morning of yoga, weight-training, or rebounding (I hope to post about that soon)! Fifth, I feel whole foods help energize and stabilize me through the day. My diet is about 80-85% whole foods. I’m not perfect, I enjoy my treats. I love my chocolate. And there you have my sixth coping mechanism. There are many things I know I should do more. I know I should meditate, have more “me” time like spa visits (ahhhh! ), get out for girls’ nights, and also get away to food and veggie conferences more often. Maybe in time. I’m sure I could fit in even 10 minutes of meditation a day, that might be the best place to start. And Dreena sure gets it done – even with all the noise and chaos – and here’s the proof! 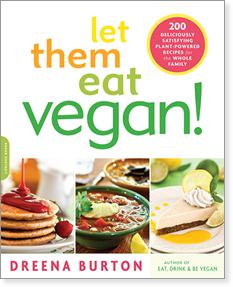 If you are looking for a family-friendly plant-based recipe cookbook, this is it. The recipes included in this book are wholesome and delicious. With over 100 recipes there is a ton of variety to choose from. Dreena also share her tips, tricks and advice for dealing with picky eaters, stocking your pantry, and menu planning. You are super luck today because I am sharing TWO of Dreena’s recipes from her new book. And let me tell you, both recipes were easy to make and flaw-less! 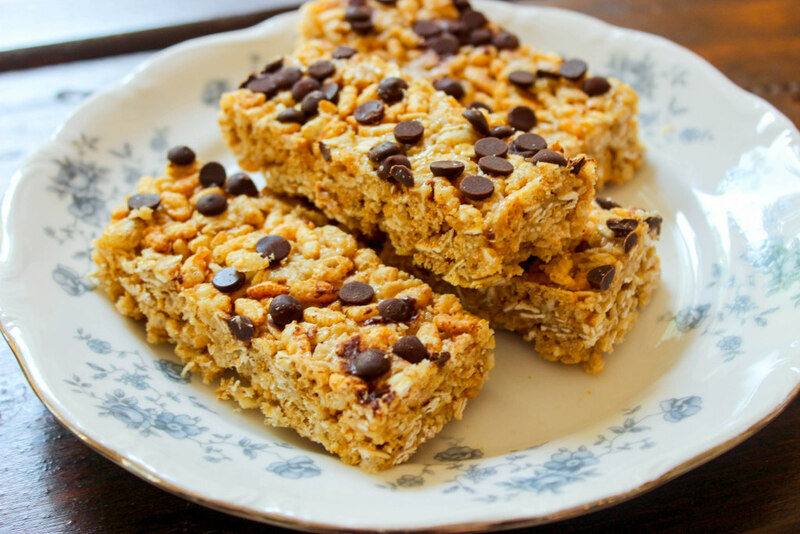 First up are these fabulous No-Bake Granola Bars. These are simple, nutritious and delicious. A total hit with my kiddos and I have been instructed to NEVER buy store-bought again. These bars are perfect for school lunches because they are n ut-free and pack very well. Plus, they are pretty simple to put together! Line an 8" × 8" pan with parchment paper. In a medium saucepan over medium/medium-low heat, add the brown rice syrup, coconut butter, vanilla extract, sea salt, and cinnamon. Stir until well combined and the coconut butter has melted. Add the rolled oats, and stir through, allowing to cook for 2–3 minutes in the low heat. Add the oat flour and shredded coconut, and stir through. Remove the pot from the stove. Swiftly stir in the cereal and transfer the mixture to prepared pan. Press mixture evenly into the pan (using a nonstick spatula or piece of parchment paper). Wait just a minute, and then sprinkle on the chocolate chips and press those into the base. Refrigerate until fully chilled (at least ½ hour), then cut in squares or bars. Coconut butter works well here because it is so dense and helps bind the bars. Because coconut is not botanically a nut, these are also perfect for school lunches. However, if you want to substitute a nut butter, choose one that is very dense, like cashew butter. Stir in 3–4 tablespoons raisins, omit the chips, increase the cinnamon to ½ teaspoon, and add ¼ teaspoon of nutmeg and ⅛ teaspoon of allspice. Stir in 3–4 tablespoons of dried cranberries and substitute pumpkin seeds for the coconut. Substitute 2 tablespoons of hemp seeds for the coconut, and add 2 tablespoons of cocoa powder (when mixing in the oat flour). Keep the chocolate chips, oh yes! 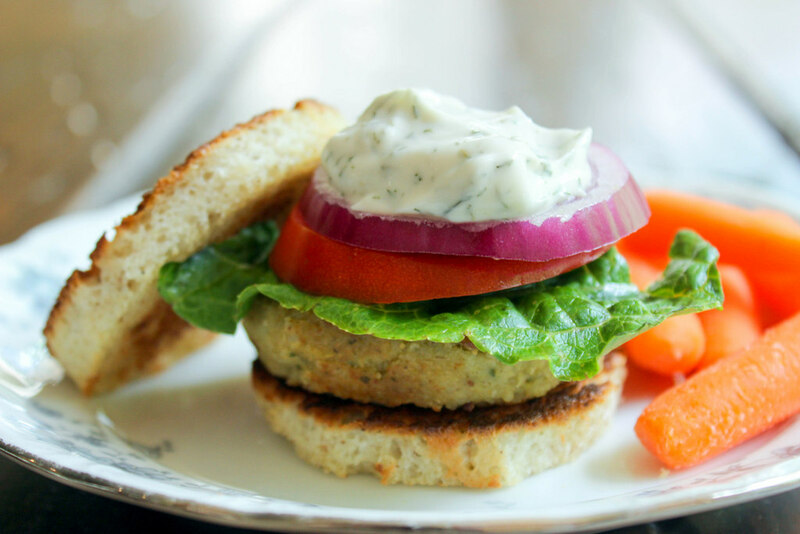 And what’s a plant-based cookbook without a mouth-watering veggie burger? We love veggie burgers at our house and this Artichoke Burger did not disappoint. This recipe was very easy to make and didn’t require any fancy ingredients. It was also super flavorful and the whole family enjoyed it. And guess what the best part is? It doesn’t fall apart!! I hate veggie burgers that don’t hold together and this one doesn’t disappoint on any level. Make this one for dinner tonight! I made these and was surprised by how much my family loved t hem. Even our daughter, who proclaims that she “does not like artichokes,” was asking for seconds! This Tzatziki Sauce is a snap to make and pairs well with many burger recipes and lentil and bean stews. In a food processor, add the artichoke, rice, nutritional yeast, sunflower seeds, parsley, miso, mustard, sea salt, garlic, black pepper, and vinegar and puree. Once the mixture is coming together, add the oats and pulse through several times. Refrigerate for an hour if possible (so it’s easier to shape the patties). Scoop the mixture and form burgers. I scoop generously with an ice cream scoop, roughly ⅓–1/2 cup. Heat a nonstick skillet over medium/medium-high heat. Cook the patties for 5–7 minutes, then flip and cook another 4–5 minutes, until golden. Serve with fixings of choice (see serving suggestions). In a blender, add the dill, miso, sea salt, garlic, yogurt, tahini, and lemon juice. Puree until smooth. Add the cucumber, and process briefly to incorporate but not fully smooth out. Add more salt to taste, or a touch of maple syrup if desired to sweeten ever so slightly for kids. Serve! If you’ll be serving it to both children and adults, you can portion out and add a little grated garlic (use a kitchen rasp) for the adults! Artichokes Note: I use frozen artichokes from Trader Joe’s. They have a better flavor and texture than canned. If using frozen, let thaw before pureeing. Potato Note: Instead of leftover rice, you can use 11/2–13/4 cup precooked, cubed, red or yellow (waxy) potatoes—but thetechnique is different. Potatoes can become gummy when pureed in a food processor. So, if using, add the potatoes last, after the oats. Simply pulse the potatoes until they are just evenly worked through the mixture. Do not over process. Garlic Note: I’m conservative with the garlic for the kiddos, but you can use more if you like. Fresh Herbs Note: Fresh parsley adds a nice flavor element, but you can also deruse fresh basil. 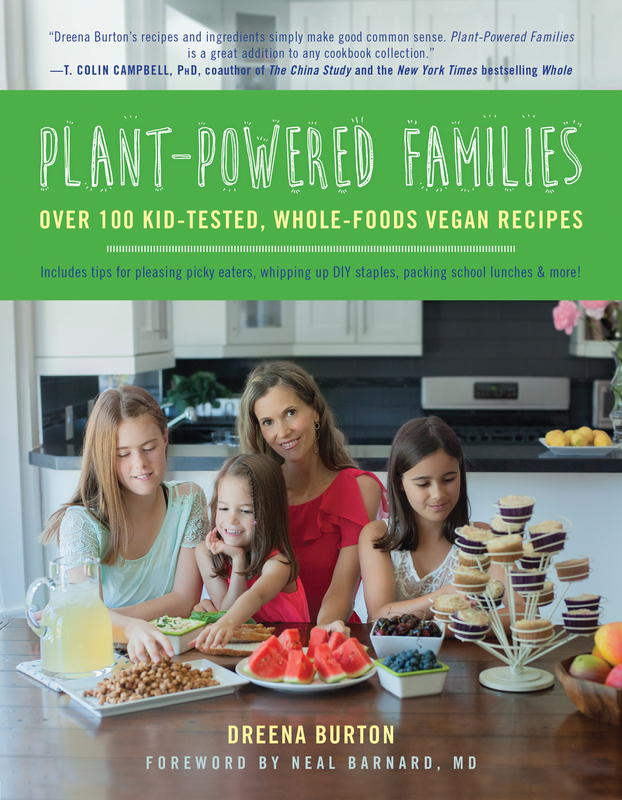 I am so excited that Ben Bella Books is allowing me to giveaway one copy of Plant-Powered Families to you! Thank you so much to Dreena and Ben Bella Books for allowing me to share a little about Dreena and her fabulous new cookbook! Congrats to Kathy T. on winning this awesome giveaway and thanks to all who entered! Disclaimer: I was given this book to review for this post but the thoughts and opinions expressed here are my own. Look what I’ve found at Minted! Sometimes I slack when it comes to ordering my Holiday cards and sometimes I am on it and they are done so early I’m really proud of myself. I wish I could more every year, but I’m not! It’s okay I’m late this year because I was introduced to Minted, the online marketplace of independent designers (minted.com). Have you heard of it? Have you used their services before? I’m pretty excited to give them a whirl because I LOVE what they are all about! Minted believes that great design lives and thrives in the hands of independent artists that people do not have access to through traditional retailers. Minted uses technology to allow consumers to discover great creative talent, making Minted a place where artists can learn, gain exposure, and build their businesses. And they are not just stationary. They offer an Art Marketplace, Fabrics and Home Décor too. They even have a great blog called Julep that is loaded with inspiration. Now if that isn’t awesome, I don’t know what is! 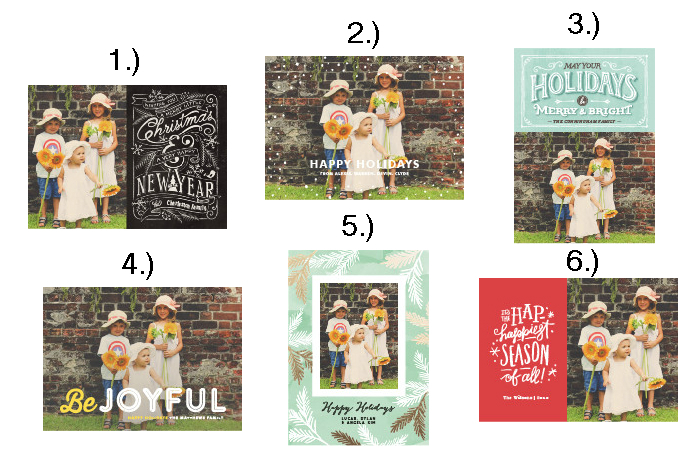 I already have the picture of my beautiful kiddos picked out, so maybe you can help me choose from the following gorgeous designs so I can get these ordered and shipped out! I can’t decide, so I need the help of my dear readers! Okay, here are my choices…sorry for the small pics! Minted let’s you add a picture and it puts it on every holiday card so you can scroll through and chose, but I could only add small pics to this post! I could have added more, because almost all of them looked great! But, I had to narrow it down to these six. Which one do you like the best? Happy Holiday Card Shopping at Minted!! Today I wanted to introduce you to a new AMAZING digital monthly magazine called Vegan Lifestyle Magazine. Whether you are vegan, vegetarian, raw foodie or just looking to get healthy, Vegan Lifestyle Magazine will provide you with all the information you need to live a kind, gentle, and healthy life. This magazine is colorful and informative, providing amazing, beautiful raw and vegan recipes from the quick-and-easy to gourmet. The magazine showcases videos, articles, news, vegan clothing and accessories, personal care, gardening, pet care, and of course travel. 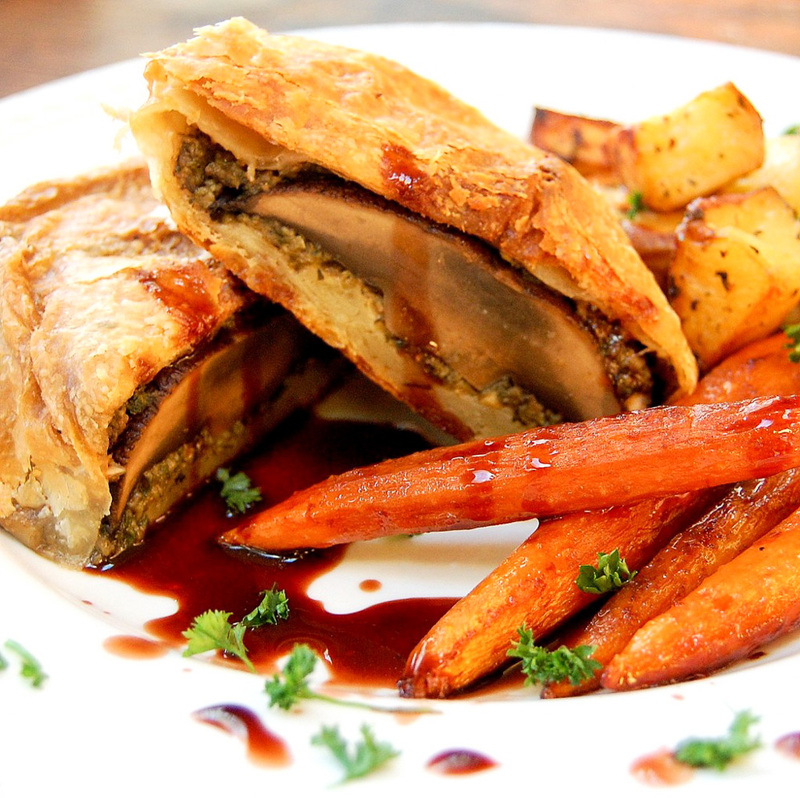 I’m excited to share that in the current issue of Vegan Lifestyle Magazine, my recipe for Portobello Wellington is featured on page 79. As I recently felt utterly defeated in maintaining this blog, it was nice to get this awesome feature. Getting published is a great honor and I’m proud to share this great news. Virtually Vegan Mama will be staying around and you can expect some new and exciting things in the near future. Thank you for all the wonderful emails and comments I received, you guys rock!!! 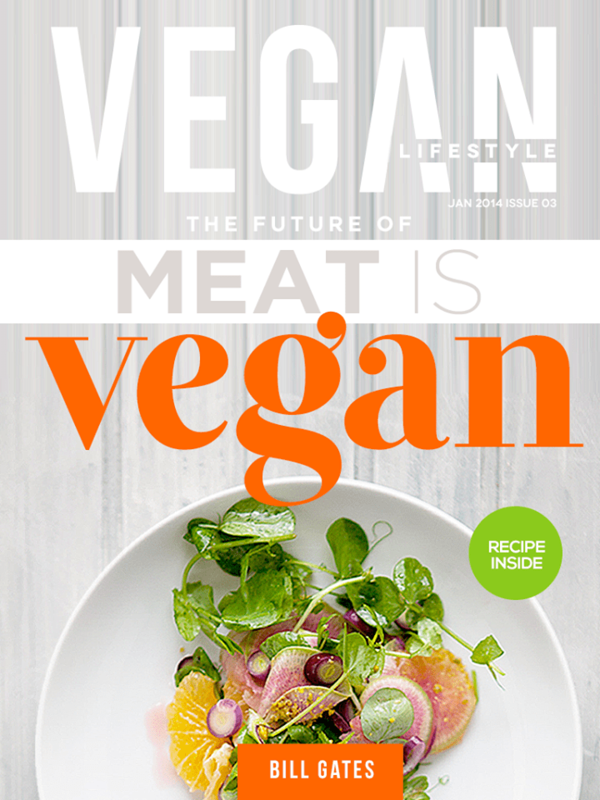 You can also find Vegan Lifestyle Magazine on Facebook, Pinterest, and Twitter. Definitely give them a *Like* and a *Follow* to spread the word! Thanks! 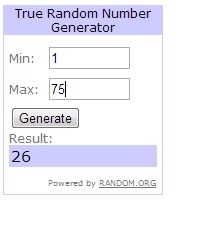 Congratulations to Rachel who won the giveaway and thanks to all who entered. I will definitely continue to share giveaways as well, I love reviewing products and cook books. For some reason my review of Neat Foods did not get delivered through email so please go check out the review and recipe HERE. It’s a delicious meat substitute made of all natural ingredients, easy to prepare and versatile. If you can’t find it at a store near you, it can be purchased on their website Neat Foods or on Amazon.com links below. You really can’t beat this cranberry sauce. It’s unbelievably delicious and so easy to make. If you’ve never made homemade cranberry sauce, now is your chance. I have made several versions over the years, but this is by far my favorite. I served this over Thanksgivukkah and it’s making another appearance for Christmas. 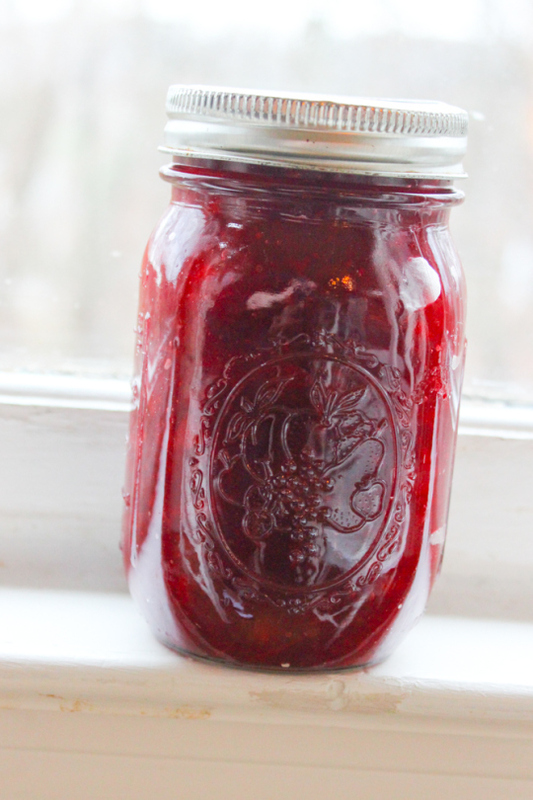 Cranberry sauce is really good anytime of year and it’s perfect for canning and gifting. I really want to start a homemade gift basket of my favorite healthy recipes to start giving my loved ones over the holidays. I have a laundry list of things I want to do, but sometimes I feel my day is a success if I get all three kids – including myself – showered, dressed and out of the house on time! 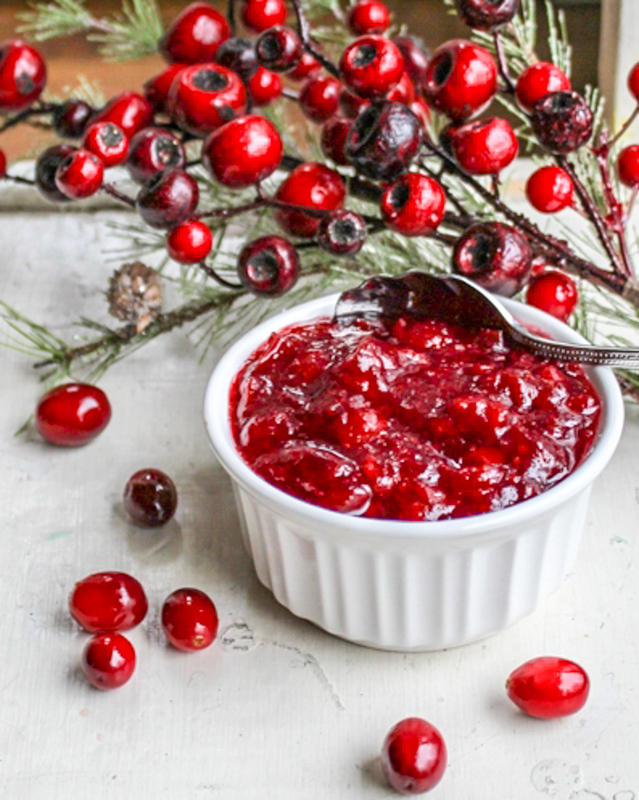 The addition of apple brandy really makes the flavors of this cranberry sauce pop. It’s not overpowering at all, but adds some warmth and spirit to it. It has 1/2 cup of pure maple syrup which is just the right amount of “sweet” for me. Can I be in love with a recipe? Yep! Am I super corny when I write about food? That too! This cranberry sauce is the perfect addition to your holiday table or enjoyed anytime of year. Add cranberries, apple juice, maple syrup, apple brandy, orange zest and cinnamon to medium saucepan and stir. Bring to a boil over high heat. Reduce to a simmer and continue cooking uncovered for 15 minutes, stirring occasionally, until the juice is thick. Remove from heat and cool. Store in an air-tight container in the refrigerator. If you need some inspiration for some last-minute homemade gifts, check out Richa’s awesome Vegan Christmas Cookies & Jar Gifts. I am absolutely in love with these, so easy and so cute. I was running out of ideas for the Elf on the Shelf and she saved me with these. If you are plagued with these somewhat creepy elves over the holidays, you know how easy it is to run out of ideas. 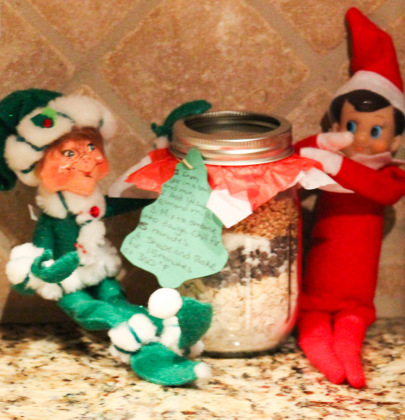 Nevertheless, the kids love these little guys and they absolutely loved Cookies in a Jar! Does anyone make homemade/handmade gifts over the holidays? Don’t be shy and share your thoughts, it’s more fun that way! 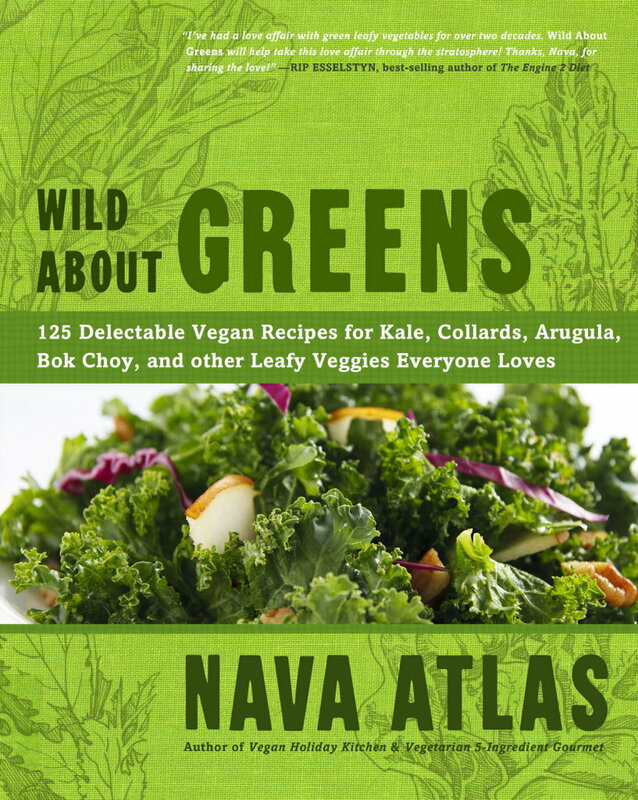 The Winner of The Wild About Greens Giveaway is…. Comment #52 left by April! 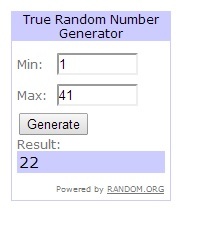 Congratulations to you, April and thanks to all who entered! I’m excited to finally get one of my own recipes up on my site. 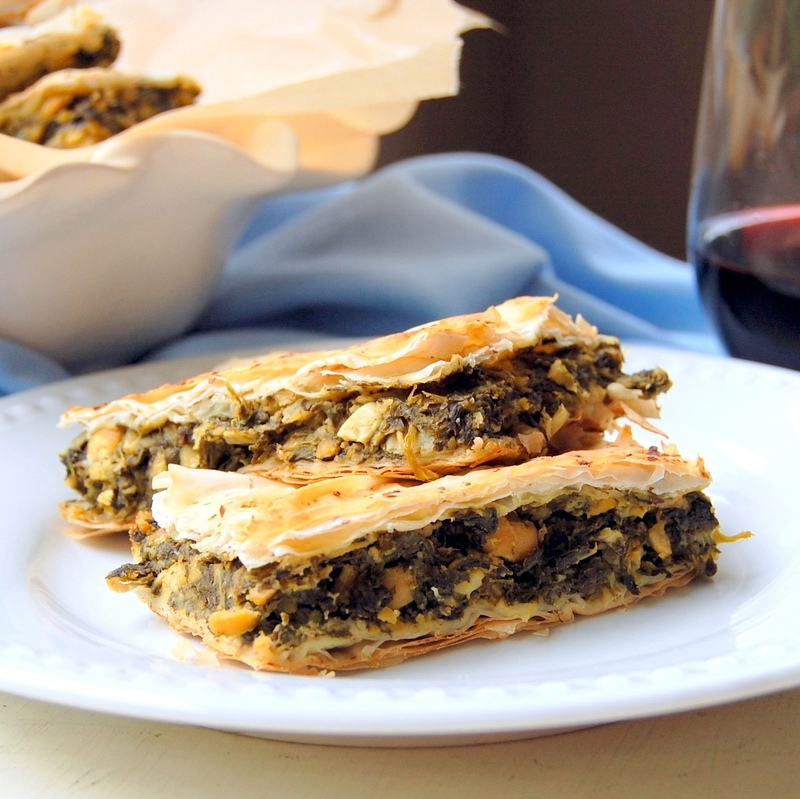 This one I’ve been perfecting for a while now – Vegan Low-oil Spanakopita. This recipe would be completely oil-free except for the small amount of oil that is in the pre-made phyllo dough. No way around that I guess, but I’m definitely more than happy with the results. Comment #26 left by Sarah whose favorite vegan brunch recipe is Kimchi Tofu Scrambles! YUM! Sarah! Congratulations and you should receive an email from me today, so I can get this awesome cookbook out in the mail to you! Don’t be sad you didn’t win this one, =) you can still buy this amazing cookbook here. Can you guess one of the first recipes I made with my new Vita-Mix? Put cashews in a bowl and cover with cold water. Soak for 4 hours. Drain cashews. Place in a high-powered blender or food processor. Cover with cold water and blend until smooth. 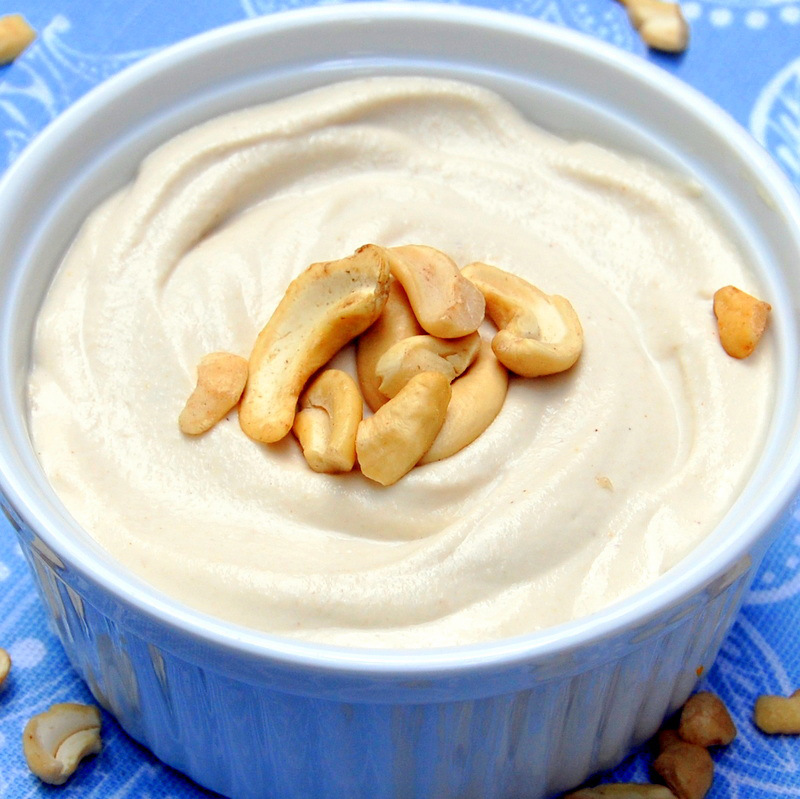 Use less water for a thicker cashew cream. I’ve also used non-dairy milk instead of water for an extra creamy sauce. You can double this recipe if you want, but I’ve found that this makes plenty. I only use it sparingly or for special recipes that call for cream because the fat content. 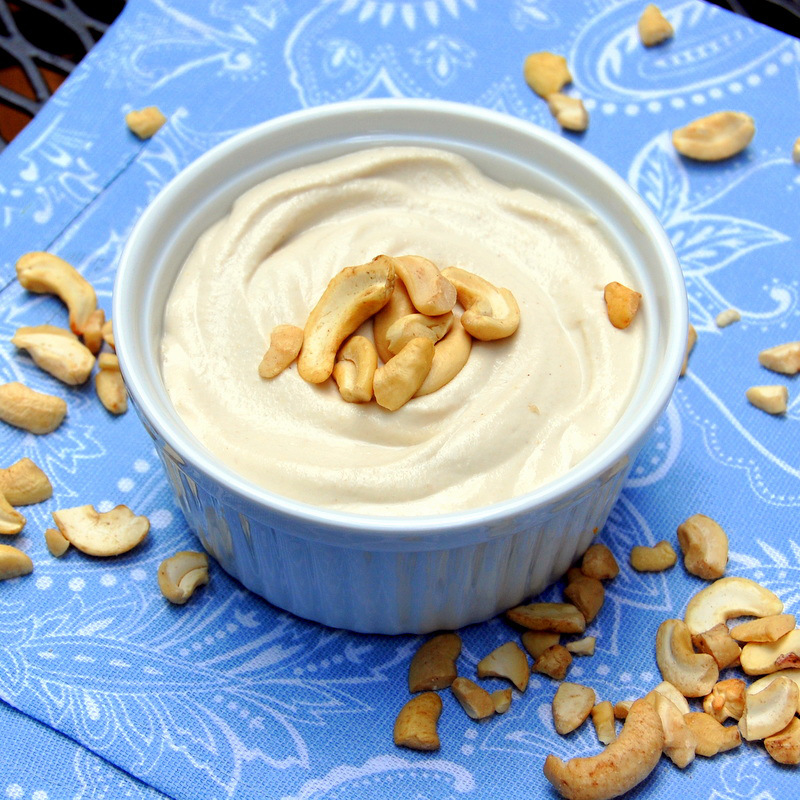 Don’t feel bad if you don’t have a Vita-Mix, I was very successful for the past couple years making a very creamy cashew cream, but this one is definitely the best when made with the right tool. It’s worth the investment. I love my new Vita-Mix! It’s gotten me fired-up in the kitchen again. 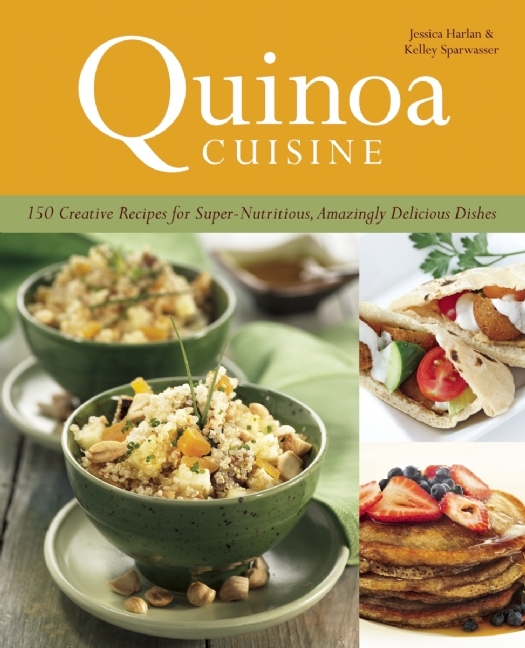 And the winner of the Quinoa Cuisine Giveaway is…. Sara. P who left this comment, “I love to make quinoa and spinach patties!” That sounds super yummy Sara and congratulations on winning the giveaway! I will email you shortly to find out where I can send your new cookbook. I know you will love it! Thanks again to everyone who participated, that was a lot of fun and I loved seeing all the creative recipes you all make using quinoa. I can’t wait to try them out. Hi, I'm Jennifer, Welcome to Pure Thyme! This is my recipe blog where I share my love for food that is healthy, simple and delicious. Here is where you will find inspiration to have fun, live well, and find balance in your life!